Most of us travelers spend our lives dreaming of far-away, exotic destinations that… are (sometimes) overrated. After all the time we’ve spent traveling the globe, I’ve come to realize that plenty of times, the treasures we’re seeking aren’t buried in far-away, exotic destinations. They’re actually really close to home. Sunny or cloudy, the views seem to come straight out of a movie. 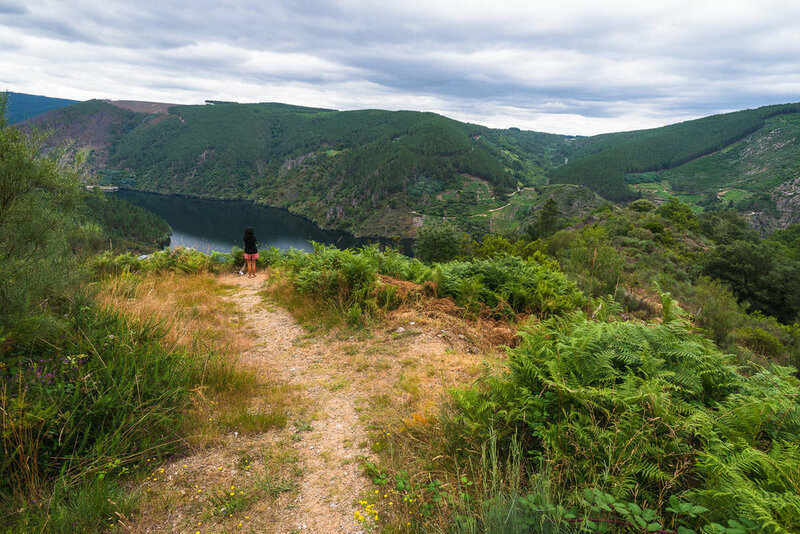 That's why during our time in Spain this summer — specifically Galicia, where I was born and raised — we decided to explore one of the nearby hidden gems that Spain has to offer. 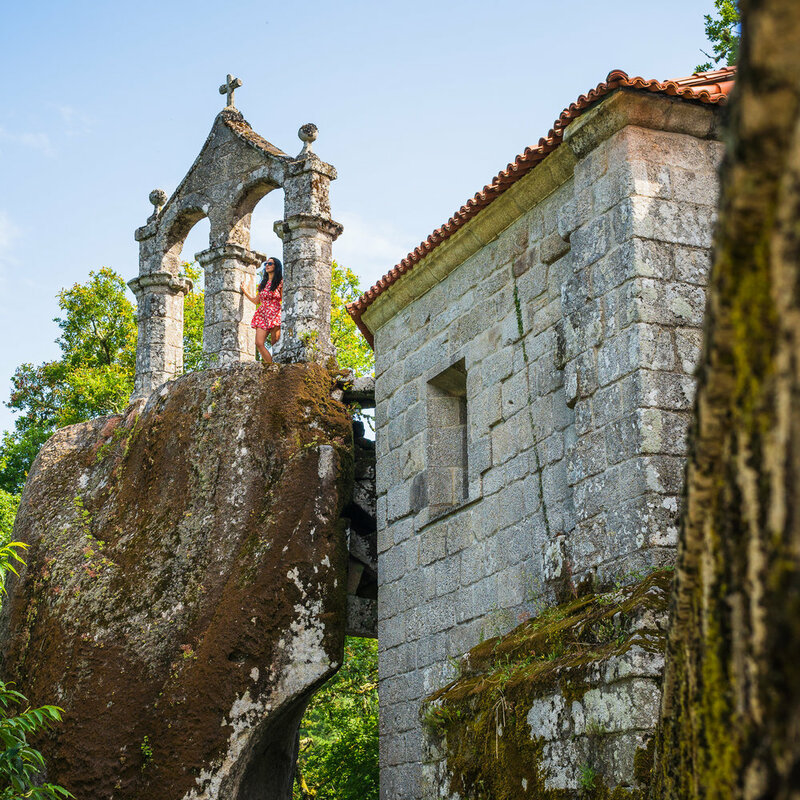 It is a place in Galicia rich in history, culture, natural beauty, and, most importantly, food. Ribeira Sacra is an area located in Galicia, to the northwest of Spain. 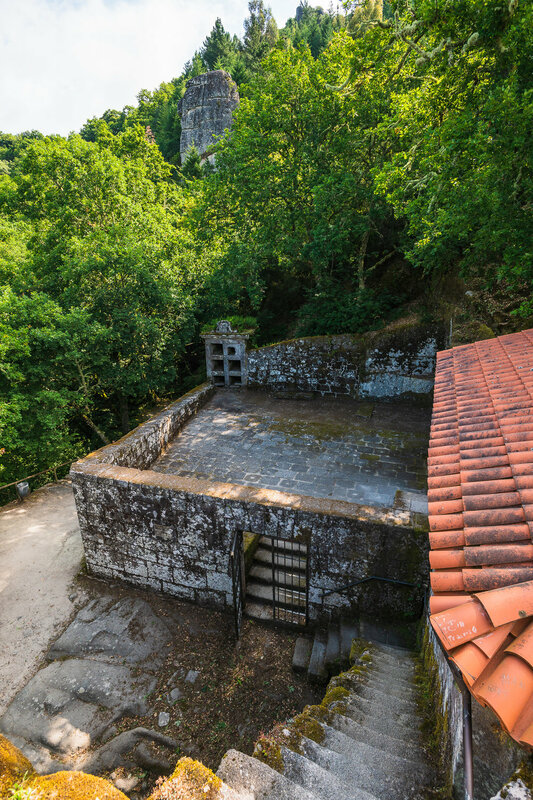 You can find this magical place situated between two provinces: Ourense and Lugo. 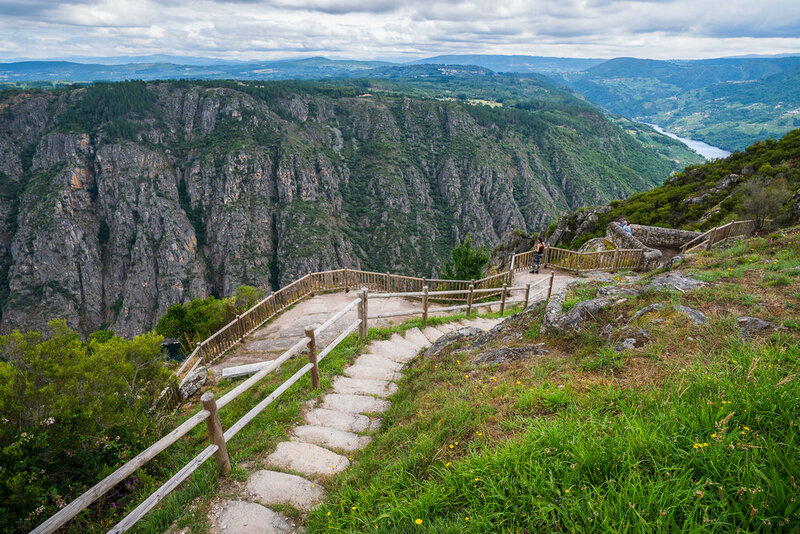 In Spain, Ribeira Sacra is most known for the exquisite wines cultivated in the vineyards and wineries that line the hills its prominent valleys. In fact, this Galician wine is not only known about in Spain but in other parts of the world: Barack Obama chose one of these wines for the toast at Gala de la Hispanidad in Washington D.C. Vineyards as far as the eye can see. 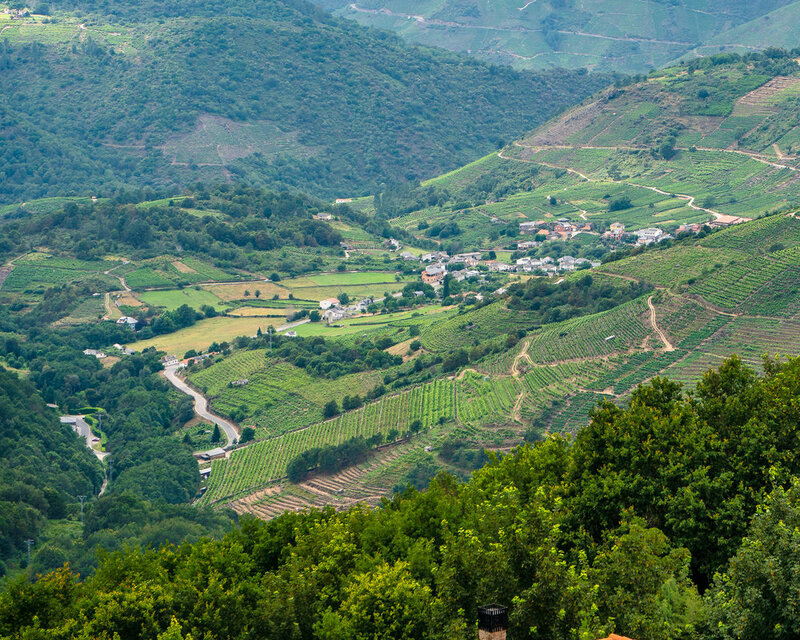 Here some examples of wineries and vineyards you’ll find in Ribeira Sacra. For most of them, you can arrange a visit and a wine tasting! 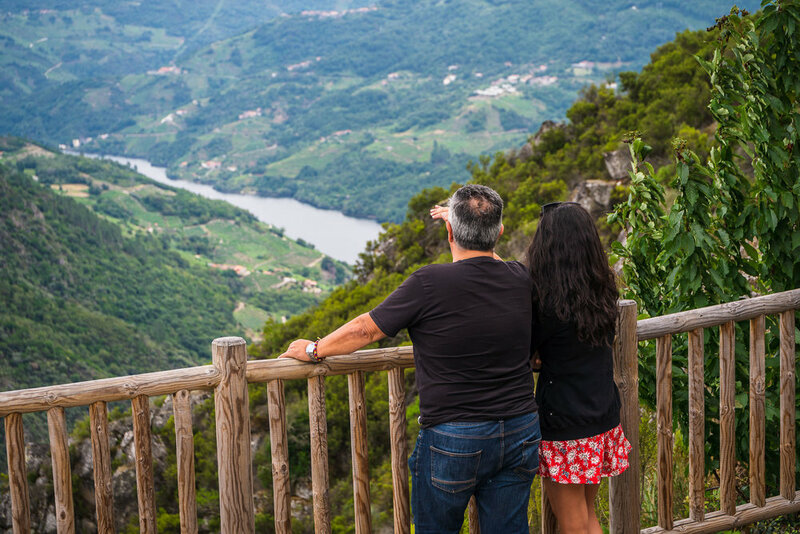 The beauty and immensity of Ribeira Sacra can't be overstated (and these pictures don't entirely do it justice) — especially with all of the canyons of the Sil River that flow into the Miño river. There are two ways to explore it: from the top, traveling between viewpoints (like we did), or on a cruise through the Sil River. This is one of the viewpoints we visited. If you look to the far left in the Sil River, you can make out a tiny cruise ship that's gliding by on its tour. Another popular thing to do to explore this area and its history is to go on the Monastery Route. 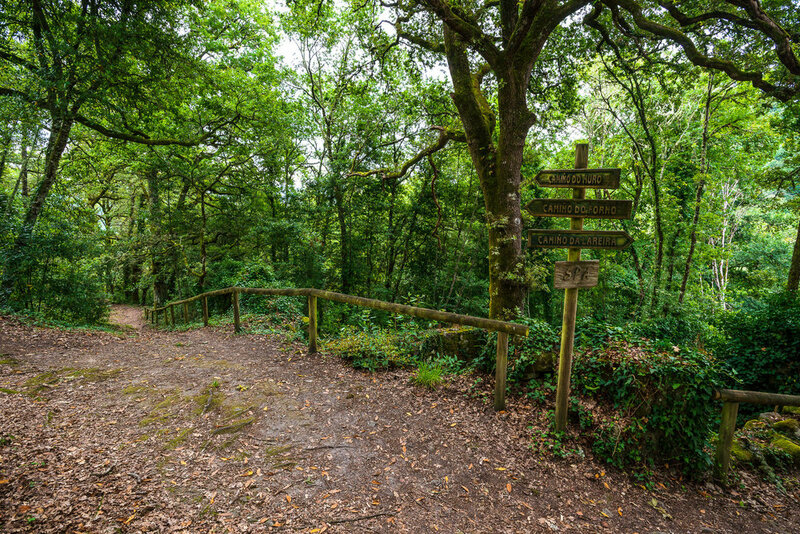 This path is easy to explore by car, taking you through the Galician heritage that belongs to this area. 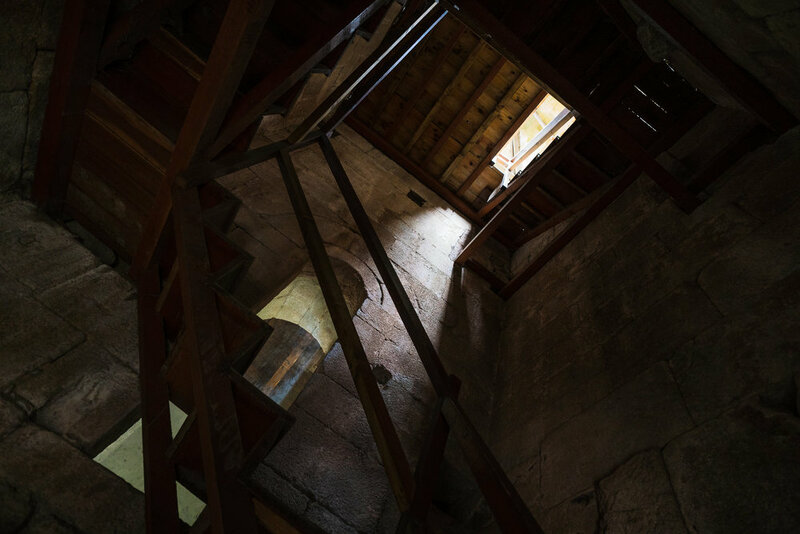 During this time, you'll discover constructions as early as VI century, some of them conserved and restored (with one of them now having been made into a majestic hotel), as well as some ruins that stand in the middle of nature. 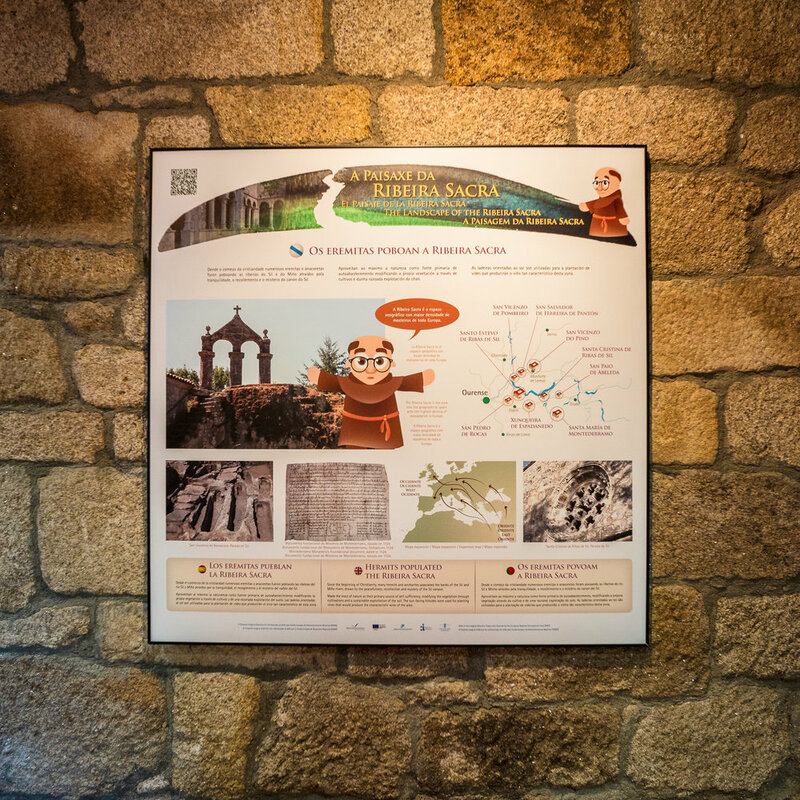 This route covers both provinces, and you can pick the monasteries you'd like to visit. For those of you into trekking, there are designated routes for that, too! 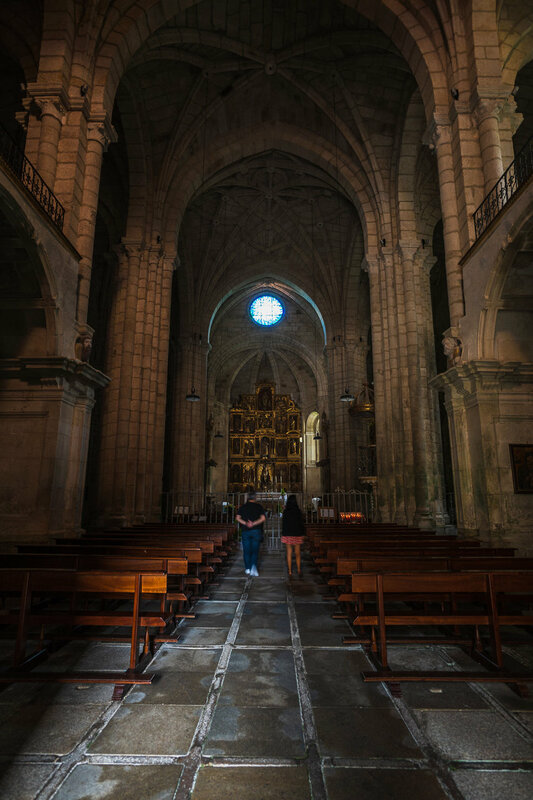 When we visited, we checked out three of the nearby monasteries on the Ourense side: Santa Cristina, Santo Estevo, and San Pedro de Rocas. 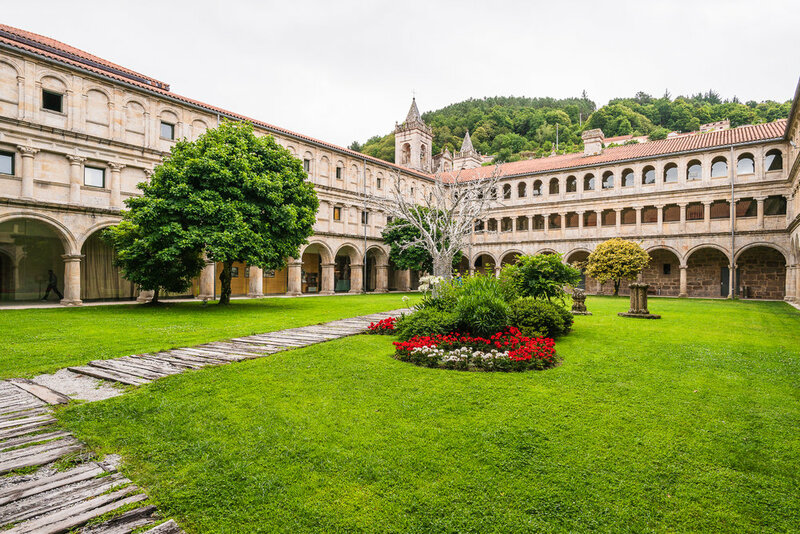 If you’re planning on visiting Galicia, you should not miss this magical place! This is a guaranteed less-touristy visit that will grant you an authentic local experience. 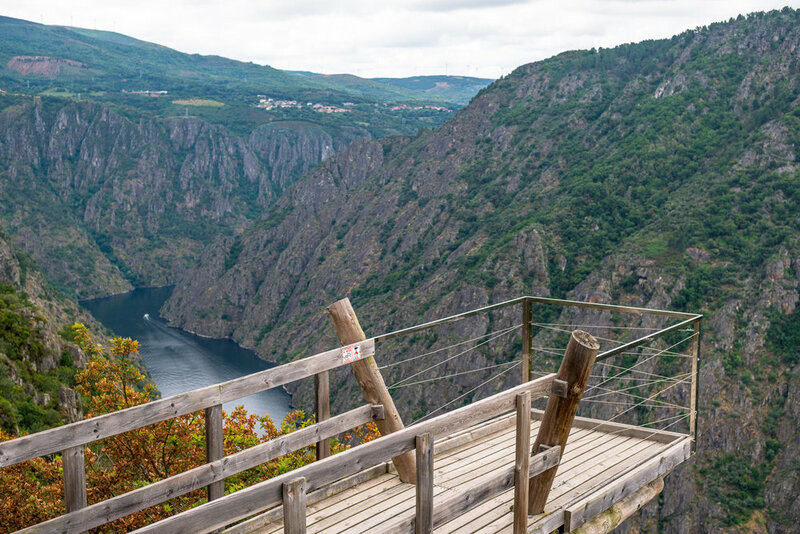 For more information about all the activities available in this region, visit Turismo Ribeira Sacra.